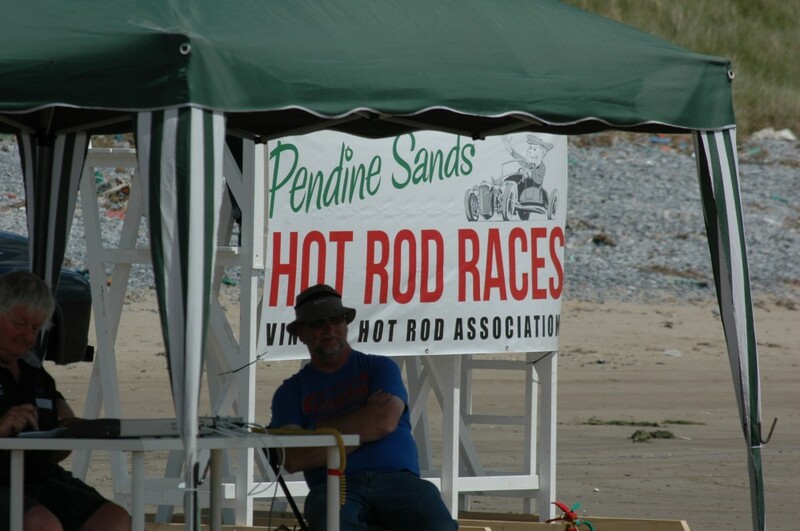 Golly, just realised we never posted our pictures from The Second Annual Pendine Sands Amateur Hot Rod Races, hosted by the Vintage Hot Rod Association. Here’s a healthy selection of the pics we (Clive and Rick Pearmain) took. You might notice how many of them are of Stromberg 97s. That’s because there were so many Strombergs at Pendine we couldn’t stop ourselves. It filled us with pride almost as fast as the pub on the quay filled us with Welsh beer. As we drove to the event, we wondered whether this could be the first UK meeting that Americans fly over to be part of, just as so many of us UK folks fly over to US events. And sure enough we met a great couple who had read about it on the interweb literally a few days before, and booked a flight. There they were, hanging out on a beach miles from nowhere, just enjoying the old style hot rods. That’s what the old car hobby does to us. You won’t be surprised that it’s all happening again next year. Dates will be announced soon. And folks are already retuning and rebuilding looking for an extra few mph. Sand fever! Be there or miss out on one of the best events you’ll ever go to. Which reminds me, BIG thanks to Neil and all the other VHRA (and local) guys who organised, scrutineered, wardened, participated, raced, broke, drove the ambulance and more. 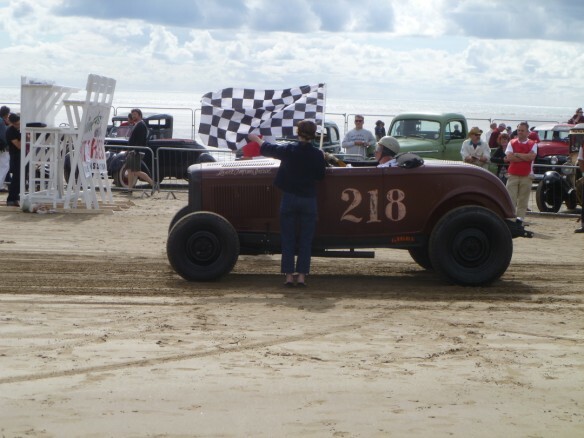 Event congestion meant we didn’t make the inaugural VHRA ‘Amateur Hot Rod Races’ at Pendine Sands, but judging by the pictures, a huge load of fun was had by everyone who made the trip to Wales. Sun, sand, sea, traditional hot rods – what more do you want? The event is widely covered on the net by those in a far better position to report than us, so we won’t try here. Our buddies did send us a few pictures, though, including many of the Stromberg-equipped motors that were on the sand – and a few with Stromberg sign writing too (big thanks!)…. So here they are. If they’re your pics and we need to credit them properly, please let us know. 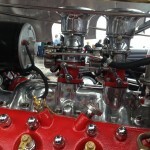 Good work Neil and everyone else for making VHRA Pendine a real killer event for traditional rodders here in the UK. Just got some super-exciting word from Neil Fretwell at the Vintage Hot Rod Association. 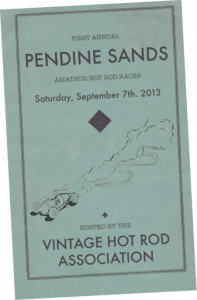 On the 7th September 2013, the VHRA will be hosting the very first Amateur Hot Rod Races on Pendine Sands, a 7-mile length of beach at Carmarthen Bay on the south coast of Wales, UK. Pendine was the home of land speed racing back in the 1920’s, so you’ll be following legends like Sir Malcolm Campbell and John Parry-Thomas. Campbell broke the land speed record for the first time at Pendine Sands – in 1924 at 146.16mph in a 350HP V12 Sunbeam, now on display at the National Motor Museum, Beaulieu. He broke three more between 1924 and 1935 at Pendine, including the famous 4 February 1927 outing, covering the Flying Kilometre (in an average of two runs) at 174.883 mph and the Flying Mile at 174.224 mph, in the Napier-Campbell Blue Bird. Our American friends will know, of course, that Campbell was also the first man into the 300mph Club at Bonneville on 3 September 1935, averaging 301.337 mph in two passes. Wonder if he ever got a red cap? 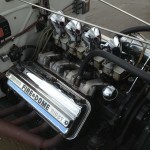 John Godfrey Parry-Thomas’s car, which he bought from Count Zborowski’s estate and christened ‘Babs’, was fitted with a 27,059 cc Liberty aero engine, Benz gearbox and chain drive. In 1926, he twice broke the mile & km WLSR then went on to break another 8 speed records in October. Though sadly, in March 1927, in a further record attempt, the car skidded and rolled. Parry-Thomas didn’t survive and the car was buried on the beach where it stayed until 1969 when it was dug up and restored by another Welshman, Owen Wyn-Owen.